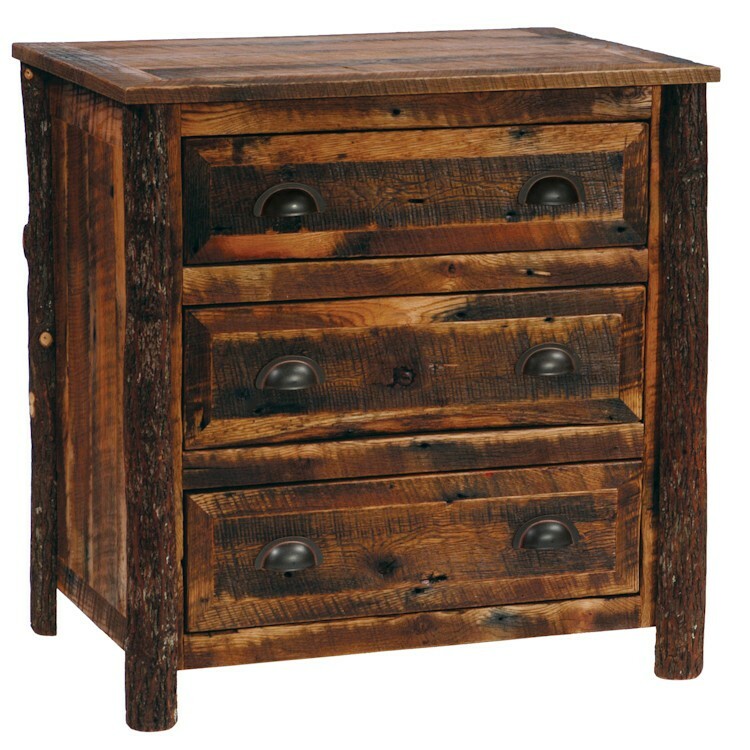 The Premium 3 Drawer Barn Wood Dresser with barn wood legs is hand crafted from reclaimed oak planks from 1800’s tobacco barns. The three 8” deep drawers provide additional storage and full extension ball-bearing glides are rated for 100 lbs. 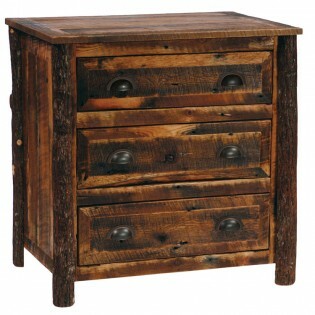 Inset drawers are dovetailed and feature aromatic cedar bottoms. A clear coat catalyzed lacquer is applied to bring out the natural beauty of the wood and for extra durability.